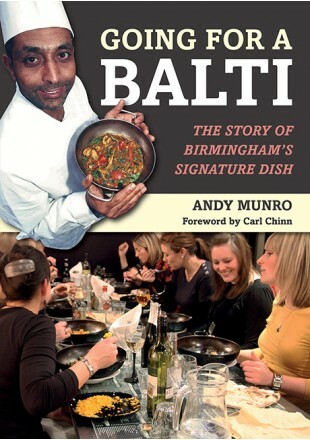 Over Xmas, I’ve been catching up on books from foodie celebs waxing lyrical about certain dishes which set me thinking about the perfect Balti. So using the sum total of some of my favourite restaurants (they all have their strengths and weaknesses) I’ve set out my perfect balti meal …. Poppadoms are the intro, free of course in any respectable baltihouse. They should be crisp and dry with a hint of hot oil accompanied by tamarind and mint dips. No self respecting poppadum should be stale or as chewy as a Quality Street toffee and the dips should have some thickness and not run all over the plate like a water spillage. Onto starters and if a Chicken Tikka it should be cooked through with a barbecued taste and not a sloppy offering which tries to disguise it’s shortcomings by glowing in the dark. If it’s a Sheekh Kebab, then this meaty and spicy offering should be of Zeppelin proportions and have the properties of a telescope thanks to the use of an industrial cooking skewer (can you see out of the other end and shout ‘ship ahoy’!). The kebab shouldn’t be burnt and shrivelled like something out of a medical journal. If it’s a Vegetable Pakora (or Bhaji) then a crispy ball containing a melange of different vegetables and not a dessicated microwaved version or worse still some onion rings masquerading as the real thing. Onto the main event and if it’s not served up in a blackened bowl with handles hotter than the gates of hell then you should be entitled to your money back. The contents should be sizzling at the edges with that trace of caramelisation and if it were a chicken and mushroom variety then it should contain freshly cooked chunks of chicken, rather than precooked slivers as that way the transfer of flavour is better. The mushrooms (and this can be a rarity in busy kitchens) should ideally be freshly sliced rather than the slimy tinned version. Finally the Naan bread shouldn’t be as dry as a stale madeira sponge cake nor should it be a flaky object served up like it’s been affected with a culinary version of athlete’s foot. Instead, it should be a fresh yeasty offering with a bubbling surface resembling the moon … and if it’s garlic, enough chunks to frighten away the vampires and not a reluctant dusting from a great height of garlic powder. And if I was a condemned man, that would have almost been a meal almost worth killing for!